We need it like a loch im kopf. 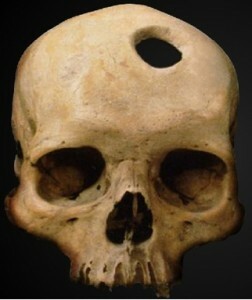 A hole in the head. It’s what people in the old days would say about a bad situation. It’s what I say about Civic San Diego –the reincarnation of our former downtown redevelopment agency. We need Civic San Diego like a hole in the head. It’s time to get rid of it. A quick backtrack: It’s been three years since redevelopment agencies throughout California were terminated and instructed to wind downtheir uncompleted redevelopment projects and make good on their financial obligations. Other cities complied by doing the job in-house, under public supervision. Not so in San Diego. To take care of the job in our city, former mayor Jerry Sanders created an unaccountable, autonomous corporation named Civic San Diego. Previous redevelopment agencies were required to answer to state and local law, to the City Council, and to citizen committees. The private corporation called Civic San Diego is not required to answer to anyone – the public least of all. If we get rid of Civic San Diego, won’t everything fall apart? No. Take a minute to look at the city’s organization chart. You’ll see that our city has plenty of resources to get the winding-down job successfully done. The city has a Planning Department, a Park and Recreation Department, a Real Estate Assets Department, an Economic Development Department, a Development Services Department, a Public Works and a Public Utilities Department, a Debt Management Department, a Financial Management Department, a City Comptroller, a City Treasurer, and a Housing Commission. We have options to hire consultants for specialized services. We have an independent City Auditor and publicly-elected officials – a Mayor, a nine-member City Council, a City Attorney – to take responsibility for city business. We’ve got active, willing, and informed constituents to share the load. The city already has the tools and capacity (backed by a $3 billion annual budget) to wind down redevelopment and to move ahead with the repair and revitalization of our neighborhoods, communities, and local economy. There’s no doubt that city could function more efficiently but that’s no excuse for trying to privatize public business. So why did former mayor Sanders hand over responsibility for the multi-million dollar redevelopment-decommissioning process to an appointed group of land-development private interests and grant them full exemption from public supervision? What about our current mayor Kevin Faulconer? Why is he fully on-board with the downtown power bloc of developers, bankers, law firms, Wall Street brokers, financial middlemen, and other vested interests who promote and defend Civic San Diego? There are some who say we should reform Civic San Diego by imposing “community benefits” stipulations. But that’s going nowhere so I’ll say it again: Civic San Diego – we need it like a hole in the head. It’s time to get rid of it. If you need further convincing, read on: Civic San Diego was given the power to make private decisions about public functions like planning, public works, and community development in dozens of San Diego neighborhoods but isn’t required to listen to or be monitored by the public. It’s a tax-subsidized fiefdom run like a private club – immune to public control, direction, or oversight. What started out as a tool for winding down redevelopment has morphed into a shadow government with its own board of directors, paid staff, numerous departments, and stand-alone subsidiaries serviced by private lawyers and investment consultants. It’s on the receiving end of half a million dollars in annual funding from city coffers. There’s a new twist: Civic San Diego has a leg-up when it comes to competing for federal subsidies called New Market Tax Credits – a new breed of tax-saving incentives for Wall Street investors to stimulate new development in low-income neighborhoods. Civic San Diego is permitted to skim its cache of New Market Tax Credits to offset its own tax liabilities or for its own administrative costs. But in contrast to how this program is set up elsewhere in the state and country, under the Civic San Diego arrangement neither the city nor targeted neighborhoods have a say in how, where, or for what purpose these tax credits are used. Huge sums have been socked away while projects sit idle. The operations, financial management, business arrangements, policy decisions, and other moving parts of Civic San Diego are an enigma to the public and incomprehensible to the City Council. Even its own board members are often kept in the dark and out of the loop. Still unsure? Read more: Key commercial corridors in southeastern San Diego are ripe for the picking – there’s development-gold-in-them-thar-hills. But Civic San Diego’s ambitious plans to expand operations into new neighborhoods – buttressed by powers to direct, control, acquire, rezone, issue permits, build, and otherwise reap bounteous private profits – come with no guarantees that residents, communities, and ordinary citizens will be the beneficiaries. Getting tuckered out? We’ve come to the bottom line: Does Civic San Diego operate within or outside federal, state, and local law? Did the city act illegally when it farmed out its legislative powers to this corporation? Is the setup ethical or compatible with the public good? Why wait for the courts to embarrass and ultimately force the city to do the right thing? It’s time to get rid of this hole in the head. If you only read one article about Civic San Diego, this is the one. If readers are struggling to figure out what CivicSD is, they are not alone—our elected representatives aren’t able to figure it out either. Instead of throwing our hands up in the air and doing nothing because the issue is so complex, we should take the straightforward approach that Norma has recommended— dismantle Civic San Diego and restore its functions to the appropriate City department. Links to the City of San Diego site in this article are not working this morning. The site has been down since last night (4/13). Please check back later. Yes, why is there no mention of Sr. Maxamusa in the (otherwise excellent) article? Patience, grasshopper. There is much more coming. Ah, so. Thanks be to you, master Porter. I echo others in thanking Norma for her succinct summary of San Diego’s on-going and misguided passion for “public private partnerships.” Haven’t we learned yet how problematic and corrupting this hybrid system is? It saves no money, while it makes more for private interests (often at a public loss). It provides no transparency, and overrides local planning efforts. I applaud the lawsuit and look forward to the information that is disclosed in court documents. The whole scheme has a sordid history: 40 years ago, Pete Wilson and his supporters created the original “Center City Development Corporation” model, uniquely for San Diego. Five years ago it finally foundered and crashed, in part due to the financial crisis, in part to former CEO Nancy Graham’s history of making illegal deals that cast her (and CCDC) under a shadow of criminal investigations. Also in part due to a terrible budget deal bill crafted by San Diego legislators to bring more money to CCDC. Instead, the deal lead Gov. Brown to cconduct audits of redevelopment agencies around the state, and the program was cancelled. In its final months, “volunteers” were running the show at CCDC as the funds ran out. That’s when Sanders et al came up with this latest scheme: Filner was on his way in, many staffers that had been in City Hall for decades were on their way out, and they needed a soft landing: Civic San Diego was born. Half a million dollars of tax payer money down a rabbit hole? When they’re spending our money, they should be accountable to us. It sounds like CivicSD is just a group to expedite the acquisition of real estate for big developer interests. Thank you Norma for this illuminating article and I believe every word of it The current Civic San Diego appears to a developers dream. In fact, the mayor and city councilwoman for District 4 recently lead a bunch of developers around Southeastern San Diego, showing off all the development opportunities for chain and outside businesses. Apparently no quarter was given to include innovation projects, commercial businesses that would provide very few employment opportunities for residents. Seems to me slamming up another Walgreen’s or In and Out Burger is so last year (century) for a community that needs amenities and jobs in their neighborhood. I could go on and on but you see my drift… Let’s keep up the pressure for something more organic and oversight of redevelopment’s last gasp. So what’s the alternative to Walgreen’s and In ‘N Out Burger? Do you have a concrete suggestion? Before I begin, I should identify myself as an architect builder who once won a CCDC competition to develop the first housing block in Little Italy. The LIND block did in fact kick off what has become one of San Diego’s most environmentally friendly neighborhood. So perhaps the cynic’s among those who read this will discount my comments, but please understand that we were given no special treatment, or unusual advantage. After winning the competition, we had to go out and find impossible financing in the middle of a recession. CCDC has been wonderful for San Diego beginning with the development of Horton Plaza and continuing by reinvesting the increased tax increment in rebuilding a dying city center. The planning authority given the agency has made possible impossible dreams. San Diego’s down town success lead the urban revitalization movement across the country and the agency is the focus of study in the best urban planning schools . Our walkable down town and immediate surrounds, which are the only San Diego development area where residents don’t need to drive everywhere, would never have happened with out CCDC and the progressive, global warming conscious planners and leaders at Civic who understand the real issues involved in building sustainable cities. Please remember when the City Planning department tried to propose a “city of villages” where there could be increased density at the trolley stops , every community group leader stood at city council and agreed that the plan was a good idea , but not in their particular neighborhoods. It’s easy from an individual vantage to loose track of what is more important , fighting global warming or maintaining the status quo which by the way concerning these issues is driving our planet into oblivion. There are numerous statements running around that are in correct. Civic involves the community in all projects. Unless the project conforms exactly with the zoning, there is oversight by the city council. Anything that deviates from the plans, must go through a set of normal reviews with public comment. Civic staff encourages neighborhood planning group presentations even when the City Planning Department ( not Civic’s rules) do not require a submittal. What would we have with out Civic? We would have only a Planning department, with layers of conflicting oversight and departments that have shown themselves over and over as incapable of accomplishing those important goals I mention above in any manner approaching efficiency. Those of you who are against change understand how the “process” can sink nearly any project proposal. Without an efficient process with strict rules uncorrupted by individual self interest, nothing progressive would be built. I would go further and say, San Diego’s best advocate for an intelligent urbanity is CCDC and now Civic. This is not to speak poorly about my friends in the City Planning Department where there are many well meaning planners hamstrung by an impossible city structure. Any one who states that Civic is not fighting hard to create affordable housing and to invest in needy neighborhoods is just un informed. There are just too many examples to cite here. I don’t like back room deals and favoritism. But pinning that label on Civic is just plan incorrect. Their proceedings are transparent. Of course there have been bad apples as in any agency, but putting all the good public servants who work mostly without pay on the board of Civic in one barrel is an uninformed and unfair. CCDC should be heralded as San Diego heroes. We need to save the world from the absurdity of auto dependent development. I suggest that the naysayers all jumping on the “kill Civic band wagon” , step back for a moment and compare the development that has a occurred in the sprawling suburbs directed by the San Diego Planning Department acting as managers of the local planning group’s complaints and self interest with the environmentally friendly downtown neighborhoods for which CCDC and now Civic have played such an important role. I hate the way this town, and especially it’s liberals, with whom I identify, all jump together, often with very weak understandings of the real issues that are so important to our future here, in a City of which we all should be very proud. Nobody likes this scam perpetrated by and for the benefit of the usual suspects. Lori Saldana rightly says that Sanders people, on their way out of City Hall, needed a soft landing and “Civic San Diego” was born. Kind of like that million-dollar-plus Balboa Park Centennial organizing committee run by Jerry Braun and Julie Dubick. Now we understand. So what’s the next step toward dissolving Civic San Diego? Who will step forward to lead the action?